Besides having a location in a nice historical district of the Grand Pacific Junction, we also happen to have a great storefront window that you can always find packed with current seasonal items. This window typically is the first stop on your journey at Second Thyme Around. 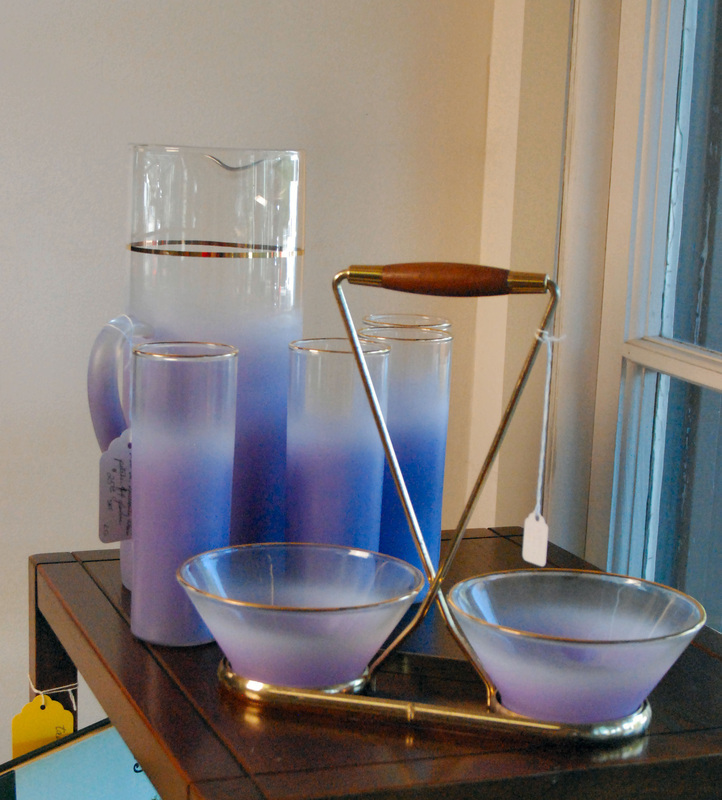 Most people will find fine glassware, unique collectables, upcycled items, and quality handmade items. To our first time visitors, this is usually just a taste of what you will find in the store! Just wait till you get inside to see the rest! This window will change a number of times throughout the year and each of our vendors can't wait until it is their turn to get to decorate the window! Besides having the typical register and friendly staff to help you as you shop, our check out room is one not to miss out on. Besides being able to look and touch the great items from the Front Window (see left), we have a glass counter that has a bunch of great jewelry, cool unique collectables, and great vintage cameras. 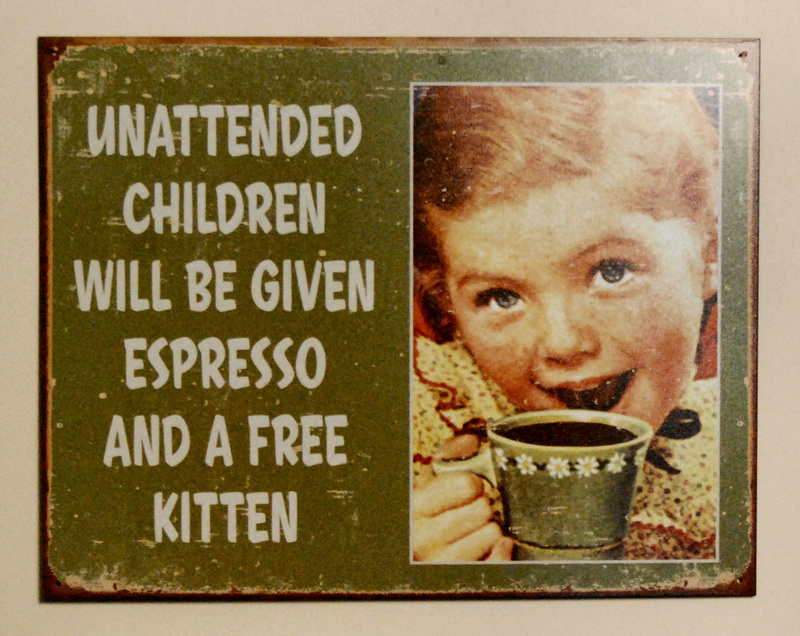 Check out the wall with old time hangings that gives notice that any "unattended children will be given a espresso and a free kitten"! It's a great place to hang out and ask our staff about where the local finds are and what is good to eat at the local restaurants.